Somehow, “Ørsted” just doesn’t have the same ring to it. 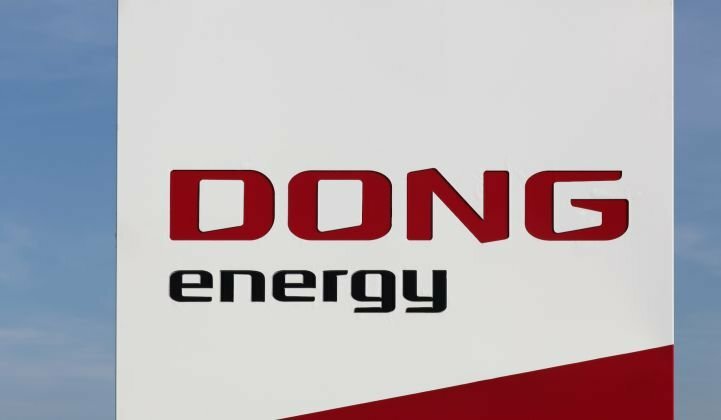 While memorable, "DONG" had become a misleading name for a Scandinavian clean energy heavyweight. Now, the sound of DONG will peal out and vanish, like the chimes at midnight. The change in name follows the comprehensive overhaul of the company's business model from fossil fuels to exclusively clean energy. The mellifluous moniker arose from the company's original products: Danish Oil and Natural Gas. In its place comes a new identity with an old heritage: Pending approval by the energy company's shareholders October 30, it will adopt the name Ørsted, to honor "the innovative Danish scientist Hans Christian Ørsted (1777-1851)." Ørsted discovered electromagnetism in 1820, making him an intellectual forebear to the modern electric power industry. He also founded the Technical University of Denmark, published philosophical writings and poetry, and befriended fairytale maestro Hans Christian Andersen. The Danish state created the company in 1972 to extract fuels from the North Sea. A few decades down the road, Dong moved into electricity production, and renewable generation in particular, parlaying its North Sea drilling experience into offshore wind. Meanwhile, oil and gas drilling in the North Sea became relatively expensive due to the basin's maturity. In May, Dong agreed to sell its complete upstream oil and gas interests to global petrochemical manufacturer Ineos for $1.05 billion plus contingent payments. 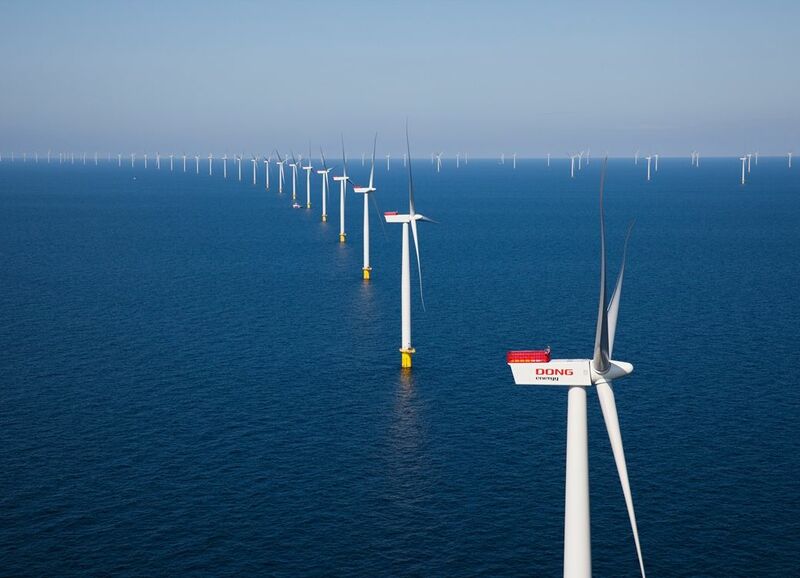 This year, offshore wind prices also started to beat fossil fuels on cost in tenders in Germany and the United Kingdom, CEO Henrik Poulsen said. The company is off to a strong start. It has already decoupled earnings from carbon emissions. Company-wide emissions are down 52 percent compared to 2006, and they will be 96 percent below 2006 levels by 2023, when its last coal plants abandon that fuel. "For a major utility to have gone this fast in the transformation to CO2-free generation, I cannot think of anyone who's close," said Thomas Brostrøm, president for North America, in an interview. In the last few years, Dong has chased global expansion, as the company brings its pioneering offshore experience to new markets. "That has been entirely driven by renewables, in this case offshore wind," Brostrøm said. "This is what we do the best. We have enough cash coming in that we have an appetite to invest in new markets." The company's Boston outpost is now developing the Bay State Wind project south of Martha's Vineyard, with other projects on the way. Dong also set up a small office in Silicon Valley to poke around for new venture opportunities in the clean energy space. It hasn't made its first investment yet. There's also a new energy storage solutions practice in Austin, Texas. The company has begun deploying storage alongside wind farms in the U.K., as developers across the wind industry explore business cases for storage add-ons. "When you look to wind, it's a fantastic synergy with storage given that wind is intermittent," Brostrøm said. "It's still early days, but we're quite serious about storage solutions." In addition to offshore wind, Dong has expanded its waste-to-energy and biomass capacity -- those coal plants have largely been converted into the latter. It has not extended into solar development, so far anyway. Now the North America offshore market is finally gaining momentum, years after the Europeans worked out the kinks on the North Sea. The five-tower, 30-megawatt Block Island project that came on-line in Rhode Island last year looks like a toy compared to Dong's 174-turbine, 1.2-gigawatt Hornsea Project One, under construction off the east coast of England. Now, though, the U.S. stands to benefit from Europe's learning by doing. "You are deploying the newest and the latest technology, so you'll get whatever is best in the market," Brostrøm said. "The time is right. We like to go out early and create the market; we like to be the pacesetter." Soon, Dong's swan song will end, and a new name will rise in its place, one more fitting of a pure-play renewables company. Enterprising readers who Google the name will enrich their minds with Danish scientific history, rather than other forms of edification. And for other companies mulling such a transition and wondering if it can be done profitably, the rise of Ørsted may prove instructive. "We do care a lot about the world -- 'the home,' as we call it -- but you have to make your investment in a disciplined way," Brostrøm said. "Balancing those two is the whole challenge here. It's been very good business the last few years, and we expect to remain profitable while we transform ourselves into being a renewable energy company."